Love pizza? Quick: hide yours, or this T-Rex will steal it. Can you help the dino cops stop his rampage? Or are you too busy laughing? Nee-nah! It’s a dino pizza emergency. How much do you like your favourite cheesy hot snack? Enough to chase a very hungry T-Rex? That’s brave. You must be part of the Dinosaur Police squad! Grab your blue hat. Turn on your siren. Make sure your tail’s neatly tucked in. Give chase! 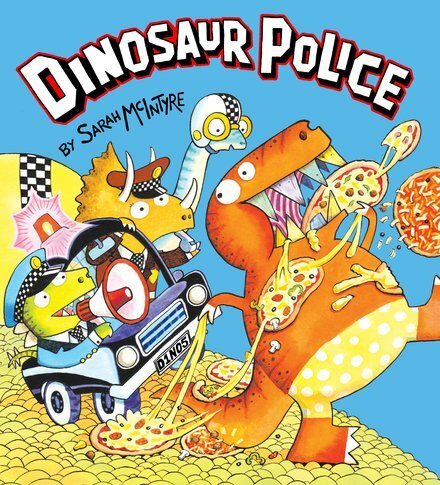 Pizza, police and dinos: it’s a picture book triple whammy. 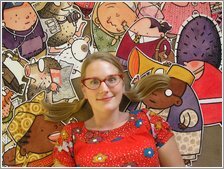 Hello hello hello – if you’re greedy for giggles, read this!